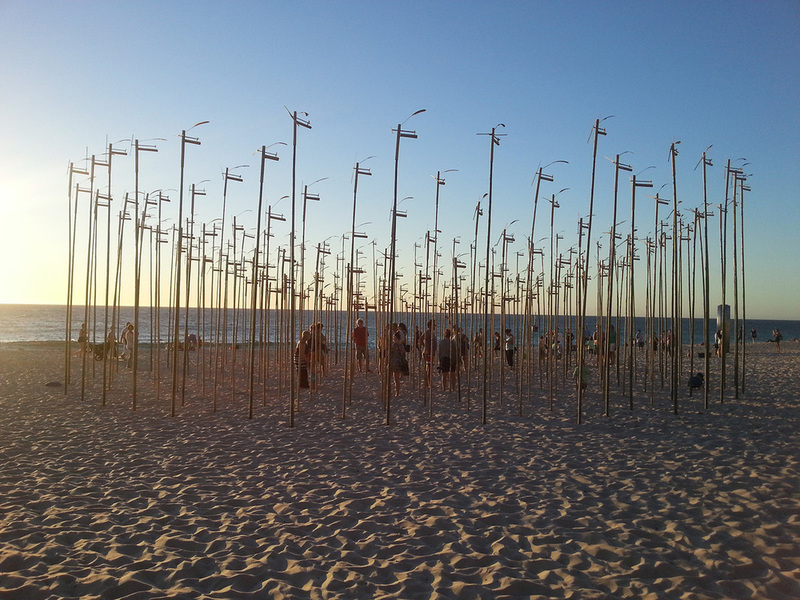 Mengenang was exhibited for a second time at Cottesloe Beach at the invitation of Sculpture By The Sea. 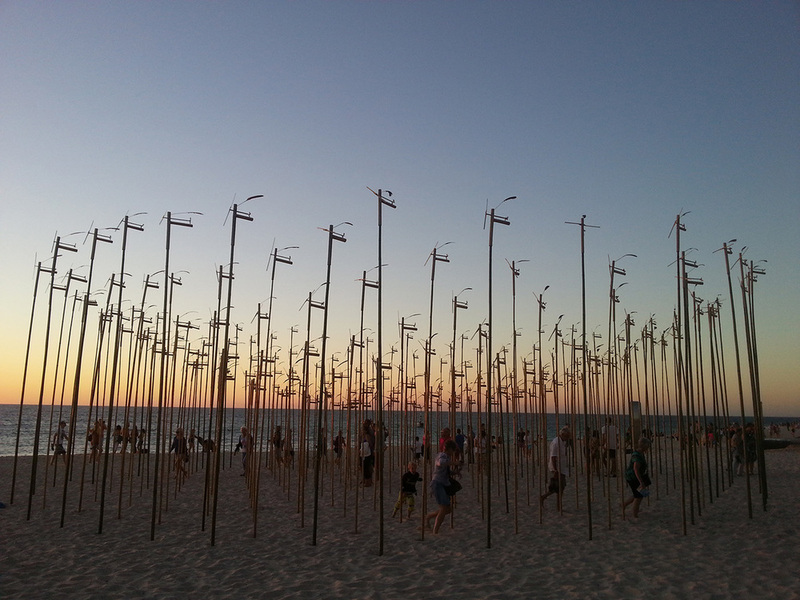 The wind-driven sound installation of 222 bamboo poles adapts to the beach landscape as a circular form of gradated height (3mt-6mt) to form an inverted dome. 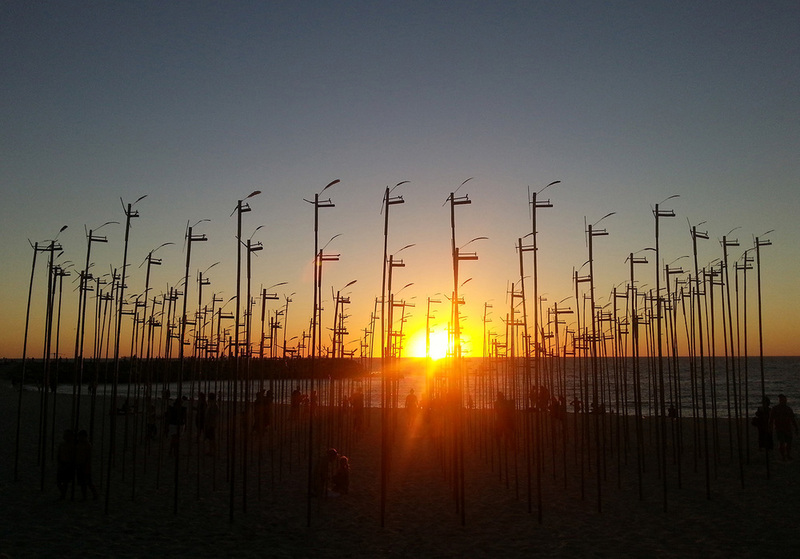 This installation defines a new sound and spatial experience for the viewer.